There is nothing more regionally specific than vegetable gardening. What to plant, when to plant it, and when to harvest are unique decisions based on climate, weather, and first and last frost. 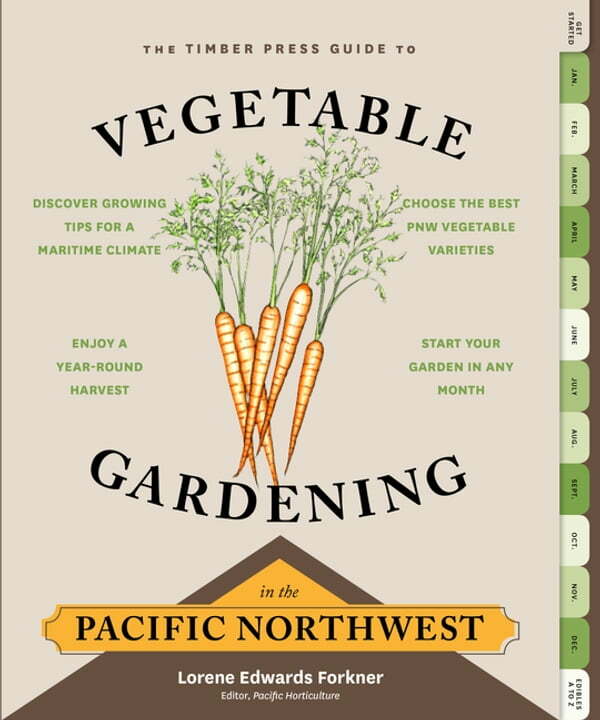 The Timber Press Guide to Vegetable Gardening: Pacific Northwest is a growing guide that truly understands the unique eccentricities of the Northwest growing calendar, covering Oregon, Washington, southeastern Alaska, and British Columbia. The month-by-month format makes it perfect for beginners and accessible to everyone—you can start gardening the month you pick it up. Starting in January? The guide will show you how to make a seed order, plan crop rotations and succession plantings, and plant a crop of microgreens. No time to start until July? You can start planting beets, carrots, chard, kale, parsnips, and spinach for an early fall harvest.